After the release of the new iOS 12, everybody wants their iPhone to be updated, because the iOS 12 is much faster and more responsive. It will enhance the performance of your iPhone greatly. The procedure may not be very simple but most of the user knows how to install it and how to prepare for it, beforehand. The problem is if you have a jailbroken iPhone, the device won’t update. Actually, the OTA is disabled in the jailbroken iPhones because if you mistakenly install any update, there is a big chance that you are going to lose the jailbreak. So, how to update jailbroken iPhone; it is very simple, you have to manually update the device. The effective methods to update your jailbroken iPhone are discussed in this article. First of all, you should know that you need to make some serious preparations if you are going to update to iOS 12. If you just casually go and update your device then you will lose all of your data and settings, and such precautions become more important in case of jailbroken iPhones. If you look into it then you will know that you don’t have the privilege to update any jailbroken iPhone via OTA update. If you even try to update your iPhone using OTA update then you will get stuck at “Checking for Updates”. This is because modern jailbreaks have the OTA updates disabled beforehand. Eventually, the jailbreak will get disabled and the jailbreak firmware will face the consequence of your actions. So, when you try to update, it won’t simply install or crash and inevitably get stuck. 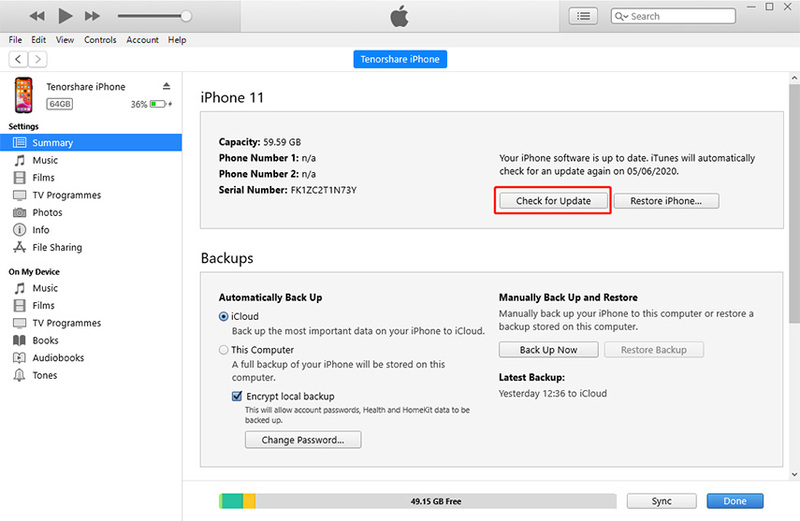 Finally, you must make a backup of your iPhone data in order to save them from permanent deletion. You can easily make a backup of your iPhone using apps like iCloud and iTunes but Tenorshare iCareFone will be the best option for you. It is fast, easy, efficient and doesn’t get stuck on error messages like on iTunes. What’s more, it allows you selectively backing up files and provides more backup choices. You won’t be able to update a jailbroken iPhone using the conventional methods. The OTA of the device gets manually disabled the moment you jailbreak the device because if you accidentally make any updates then you will lose the jailbreak. So, we are going to discuss two very effective update procedures for jailbroken iPhone. You can use iTunes to update to iOS 12 or you can restore jailbroken iPhone without iTunes, the details are available below. Naturally, as an iPhone user, you will lean towards iTunes to update jailbroken iPhone to iOS 12. Sadly, users are facing various errors when they are attempting to do so. The iPhone might get stuck at the Apple logo or the update will stop at a black screen. So, you should look for an alternative, error-free way to update your jailbroken iPhone, and that’s where Tenorshare ReiBoot comes in. It is a potent software which is capable of updating a jailbroken iPhone and can also easily repair all iOS system stuck issues within minutes. Step 1: You have to download and install ReiBoot on your computer and then use a data cable to connect it with your iPhone. Step 2: Now, launch Tenorshare ReiBoot. Step 3: It will take a few seconds to detect your device then you have to go to the Menu on the top and select “Factory Reset iPhone”. Step 4: Then, click on “Fix Now”, the software will show you the latest iOS firmware, which is available for you. Step 5: Now, you will be directed to the firmware download screen where you should provide the destination for downloading the firmware and tap “Download”. Step 6: After download, tap “Start Repair” to start the repairing process. And you are done! 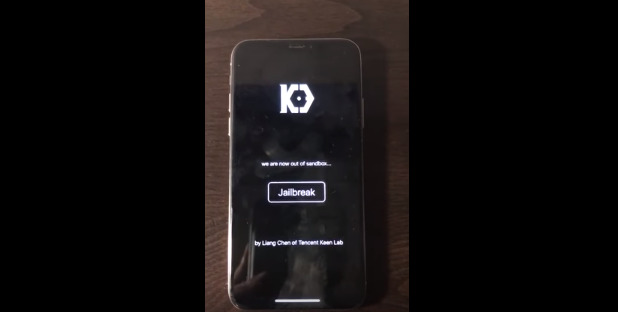 After the installation, the jailbroken iPhone will restart and you will be able to use the new iOS 12. It is very common practice to update jailbroken iPhone using iTunes app. Even though unexpected glitches and errors occur during the update through iTunes, people are still using it. So, here are a few details about the procedure. Step 1: You need to make sure that you are using the latest version of iTunes on your computer, PC or Mac. Step 2: Now, connect your iPhone to your computer and launch iTunes. 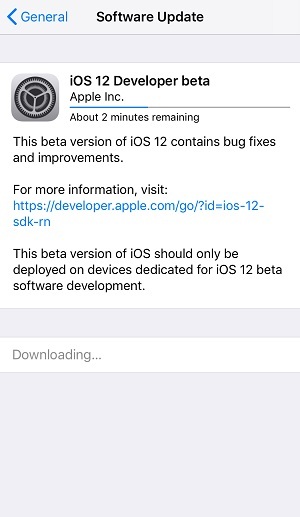 Step 3: Then a message will pop-up, telling you that the latest iOS 12 is available. Step 4: Now, just need to click on “Download and Update”. Step 5: If iTunes fails to show the pop-up message then you have to click on the Device icon on the top and go to “Summary”. Step 6: Then, click on “Check for Update” and follow the guide to install the firmware. If you follow the guide properly then you will be able to use an iPhone that runs on new iOS 12. Hopefully, these 2 procedures will help you to update your iPhone to iOS 12 successfully. As mentioned the iTunes option is always available but it is riddled with errors and glitches. But if you want a hassle-free iOS update then go for the Tenorshare ReiBoot, it will be the best choice.